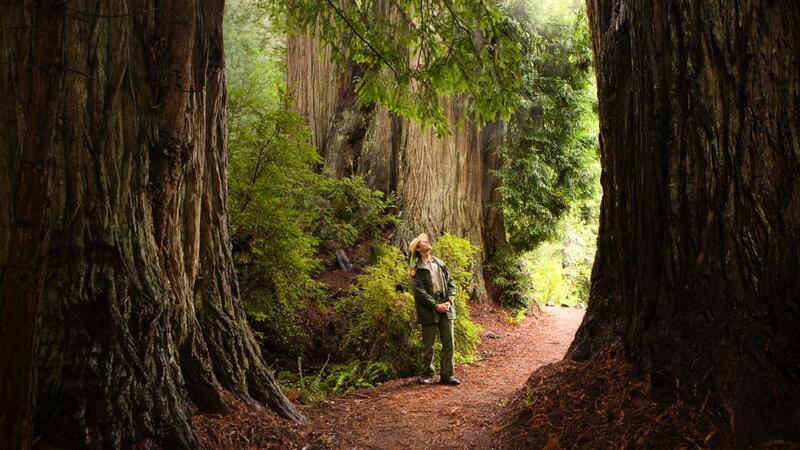 Home of the world’s tallest trees, this World Heritage Site and International Biosphere Reserve protects nearly half of the world’s old growth redwoods, including champion specimens more than 370 feet (113 meters) in height—or five stories taller than the Statue of Liberty. Walk, bike, camp or horseback ride along 200 miles of trails in the park system, which in a unique state/federal partnership includes Jedediah Smith Redwoods, Del Norte Coast Redwoods, and Prairie Creek Redwoods State Parks. The park’s forests, hills, rivers and coastline support a rich mosaic of life, including Roosevelt Elk, whales, seals and seasonal wildflowers such as lupine and rhododendron. The sprawling park system also provides many opportunities for scenic drives.